This little alligator and his adopted boy first appeared in a comic strip called “Hoxwinder Hall,” created by local artist and cartoonist Daniel Boris. “Hoxwinder Hall” was a highly acclaimed comic strip, and was even a top five finalist in the Washington Post’s “America’s Next Great Cartoonist” contest in 2010. Daniel recognized the potential appeal of Dozi the Alligator for young children, so he eventually began a series of children’s books based on that character. 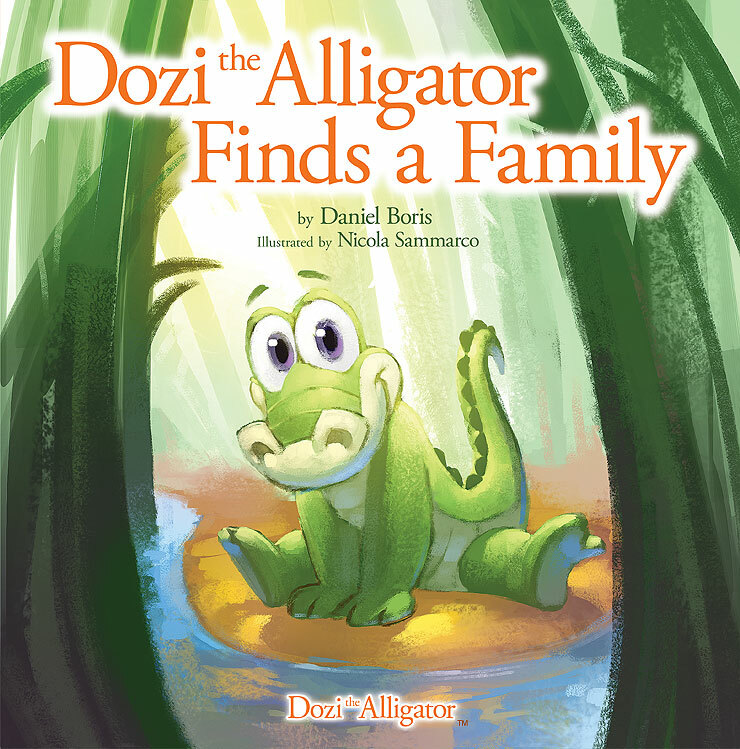 The first book in the series, Dozi the Alligator Finds a Family, was published in June of 2015. The second book will be released in the spring of 2016. 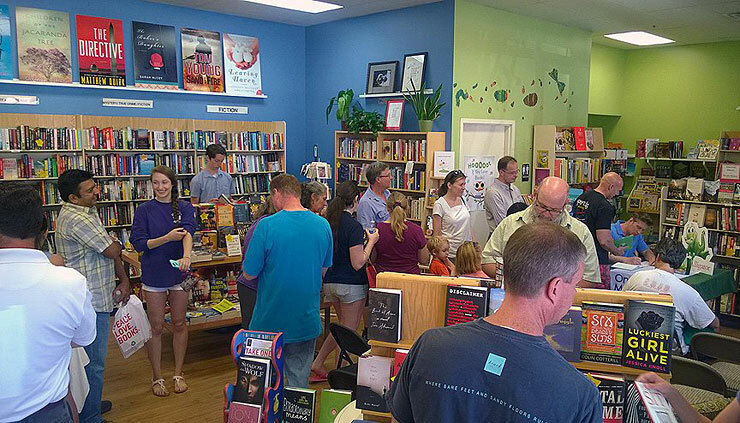 The first book has been a success, with glowing online reviews and a rising fanbase for Dozi. The book was selected to be part of the Annual Book Fair at the University Club of Washington D.C., where Daniel has been invited to participate in the Meet the Author Night on December 2, 2015. The event is free and open to the public. Daniel will be in great company; several distinguished authors will be there to greet the public. Be sure to add it to your calendar for an amazing opportunity to meet authors and discuss their work. Modern Reston: Please tell us a bit about yourself and your background. Daniel Boris: I am a Virginia native. My family moved around the country a lot when I was younger, but then settled down again in Northern Virginia when I was a teenager. I graduated from Chantilly High School, and then briefly attended George Mason University before switching to the Art Institute of Pittsburgh, where I graduated with a degree in commercial art. I’ve been a working professional artist ever since, spending the last fifteen years working in the online education industry. 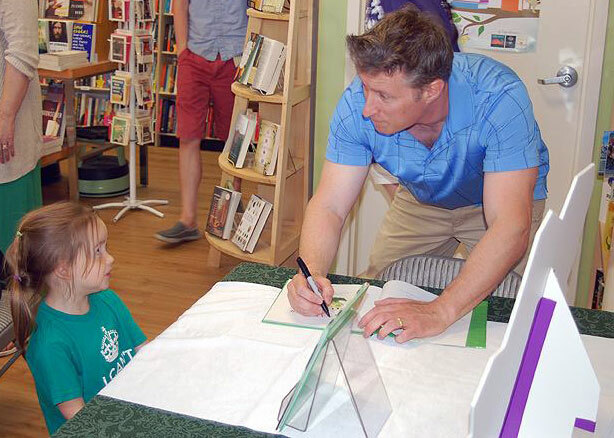 Cartoonist and author Dan Boris meets a young fan. How did you get involved in cartooning? Was that always a dream of yours? Like everybody else, I grew up reading the comics pages and comic books, and watching Saturday morning cartoons as well as the big Disney animated feature films in movie theaters. All of those things helped spark a creative cord in me, and so at a very early age I found myself drawing a lot and wanting to be an artist. I’d spend a lot of time trying to copy my favorite comic strip characters. I don’t think I was especially talented, but as with most things in life, I improved and gained confidence through practice. Cartooning was always a favorite pastime, and I dreamed of someday becoming a syndicated comic strip artist. How did you choose to create a comic strip about a pet alligator? 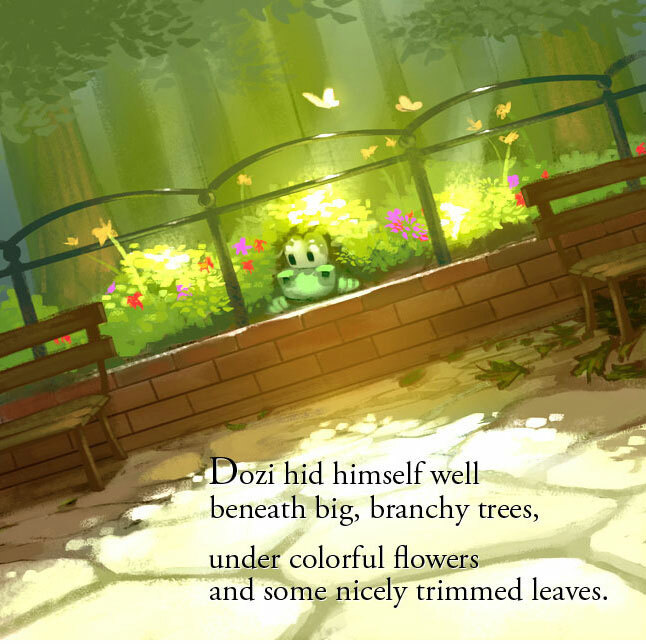 Please tell us a bit about the development of Dozi as a character. All of my favorite comic strips involved animals. If you think about it, the most beloved strips in the history of comics all involved animals. Krazy Kat, Pogo, Peanuts, Garfield, Bloom County, Calvin and Hobbes, the Far Side… all contained central characters that were animals. So my decision to create a comic strip with an animal was really a no-brainer. For me, it was essential that my strip also contained a talking animal. The only question was what kind of animal? I wanted my character to be unique of course, so I began considering animals that were not represented in the modern comics pages. Ultimately I arrived at the plausible idea of a young kid who secretly brings a baby alligator home with him after a family vacation to Florida. 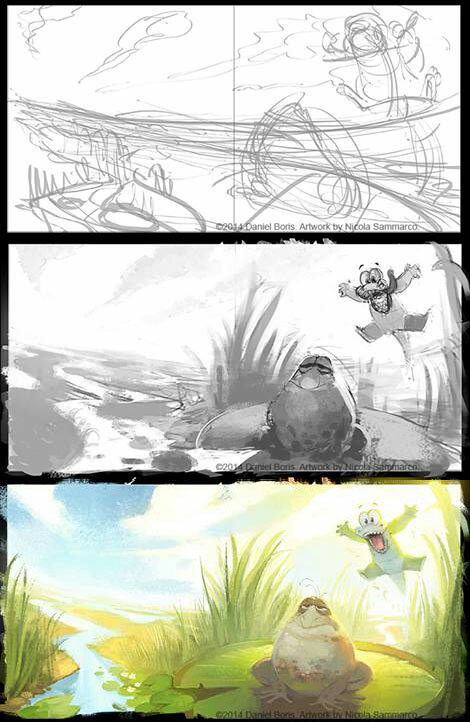 That is how Dozi the Alligator was born, and the genesis for my comic strip Hoxwinder Hall. The name “Dozi” is the word “Izod” spelled backward. Tell us about the Washington Post’s America’s Next Great Cartoonist Contest, and how it impacted you and your work. Having my comic strip selected as a finalist in The Washington Post contest felt like how I imagine winning the lottery must feel. It was exciting and it also gave my comic great exposure. My comic strip was seen on the website of one of the most famous newspapers in the world, and many people saw it for the very first time. Readers voted it a Top-5 Finalist, which really validated my work. I had always thought my comic was good enough to be seen in newspapers. Seeing people agree — through their voting my strip into the Top 5 — gave me a lot of confidence that my work was as good as I thought it was. Ultimately, I didn’t win the contest, but it really didn’t matter. The confidence I gained from that experienced reignited my desire to continue on with my comic strip. A few months later I launched “Hoxwinder Hall” as a web-comic and also began posting new strips on Facebook. Slowly the strip built up a pretty good following. It was very rewarding to see people enjoy something I had created. How did you decide to create a series of children’s books about Dozi? What sorts of changes did you make for this new format? My ultimate goal had always been to have my comic strip syndicated in newspapers, and earn a living doing it full time. Unfortunately, printed newspapers are in a state of decline and none of the major newspaper syndicates were interested in giving Hoxwinder Hall a shot at national syndication. And so–although I really enjoyed creating the comic strip and especially loved seeing the reactions and comments from fans of the strip–producing the comic became a LOT of work. Between writing the strip, drawing and coloring and posting the strips, maintaining a website and tending to all of the other social media things, it ultimately just became too much work for too little reward. I hated the thought of completely ending things when I knew there was so much more untapped potential to my idea, and that is when I considered creating a Dozi the Alligator children’s book. I already knew that my Dozi the Alligator character resonated with people, so I set about writing a children’s book aimed specifically at a younger audience. I began writing a story about how Dozi the Alligator and Byron Hoxwinder — the two main characters in my comic strip — meet. At the time, I didn’t really know how that happened. The premise of my comic strip had always been that a little boy named Byron Hoxwinder secretly brings a baby alligator home from a family vacation in Florida. That was it. I had not previously given much thought to exactly how that happened. Since my comic strip didn’t deal with that early part of the story, I never really needed to explain it to readers. But now I did. In my mind I always had a vague idea of how Dozi met Byron, but until I actually sat down to write the story I really had no clue what I was about to write. Looking back it is interesting how the story seemed to naturally write itself once I started brainstorming about how it logically COULD happen. The creative process is pretty wild! Dozi the Alligator Finds a Family is basically a prologue to my comic strip, rebooted for younger kids who may not have ever heard of my strip. I deliberately chose to tell the story in short, rhyming verses because I personally loved those types of books when I was a child. Why did you choose to have a different artist illustrate your book? Initially I thought that I would both write and illustrate the book myself, but eventually made the decision to sort of pull a Walt Disney. What I mean by that is Walt Disney was a competent artist himself, but he was also smart enough not to let his own ego get in the way of having his ideas brought to life by much more capable artists. 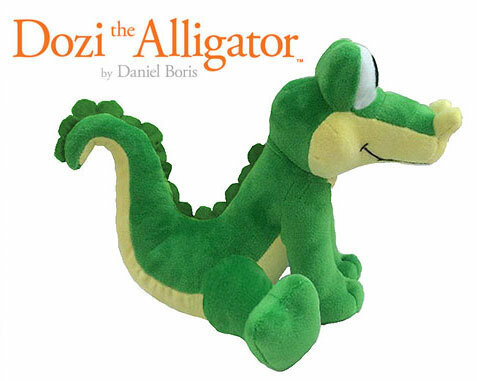 For me, the most important thing was the idea of Dozi the Alligator. The concept and the story. I wanted to introduce Dozi to kids everywhere and needed him to be very visually appealing. I knew that I needed a more talented artist to help bring Dozi to life in the way that I envisioned. At that point, I started looking for artists who had great portfolios. I spent hours on-line searching through blogs and other social media for great artists. I specifically sought artists from the animation industry because I knew those individuals could draw well and visually convey emotion in a story. After several weeks of searching, I found an Italian animation student named Nicola Sammarco. I was extremely impressed with Nicola’s work so I reached out to him through e-mail. I introduced myself, told him about my project and asked if he was interested in being my Illustrator. He said “yes,” we signed a contract, and we started working on the illustrations for the book several weeks later. I have to add that we live in a pretty amazing world right now… Technology is incredible! I mean, here I am living on the east coast of the United States, and I’m art directing another artist who lives in a little Italian town half way around the world. It’s pretty wild! 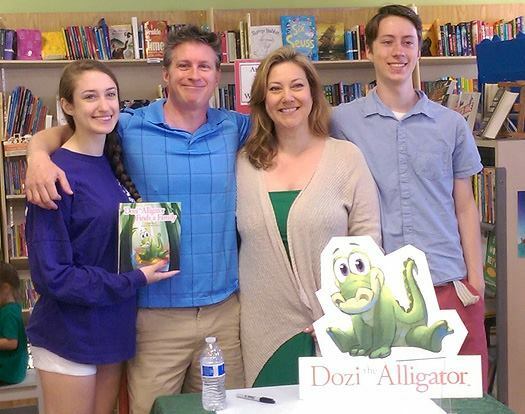 What has the response been to your first children’s book, “Dozi the Alligator Finds a Family”? I’m very fortunate that the response has been overwhelmingly positive. The first book currently has a 4.7 star out of 5 star rating on GoodReads.com, and a 5-star rating on Amazon. 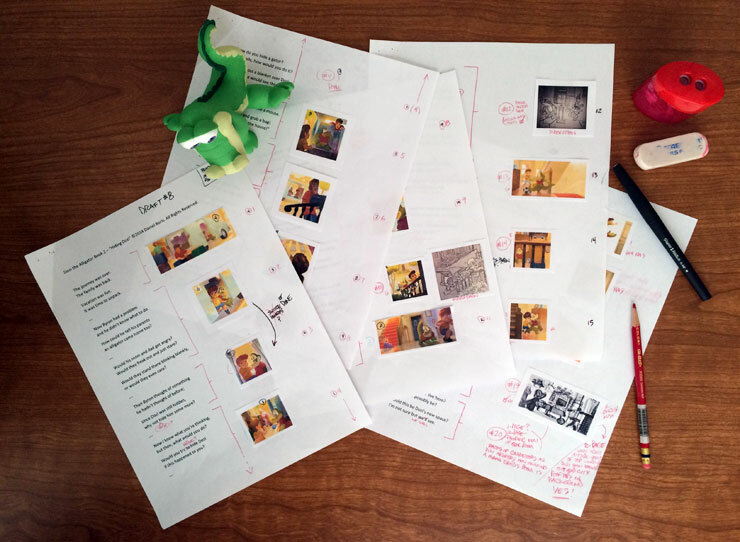 What have you found to be the hardest part about writing a children’s book? For me, the most difficult part about writing is getting out of my own way. In the beginning of the process, I tended to overthink think things. Over complicate things with too many words or by trying to inject too much into a phrase. I finally figured out that I just needed to tell the darn story and have fun telling it. I learned to write as if I was simply having a conversation with somebody. Once I figured that out, the book sort of wrote itself. Deciding on which words to rhyme is one of my favorite parts of the creative writing process. I tried to make every verse convey a story and also be fun to read at the same time. At times I tried to channel my inner rap artist, if you know what I mean? The way that a good hip hop song uses clever phrasing to make you smile as it conveys a story. It was fun considering how Eminem might find a way to make the word “orange” rhyme… The artistry of using words and all that. You’ve been invited to be part of Meet the Authors Night at the Annual Book Fair at the University Club of Washington, D.C. on December 2, 2015. How were you selected for this honor? Could you tell us more about it? It is the club’s 26th annual event and it includes some well-known authors. A friend of mine was invited last year and urged me to submit my book for consideration this year. I am honored to be included this year. I believe the format is that each author is assigned a table where the public can meet us, buy a copy of our book, and have it signed by the author. It is open to the public, and there is no admission fee for anybody who would like to attend. What are you working on now? What comes next for you and Dozi? Currently I am writing the third installment of the Dozi the Alligator series. The 2nd book is already finished and is scheduled to arrive in March 2016. I’m also currently working on a Dozi plush toy. Once I approve the prototype, I will launch a Kick Starter campaign to fund the production of the soft toys. I hope to have that going in the next several weeks. Where can people buy your books or merchandise? Anybody can purchase a copy on Amazon or Barnes and Noble. I’m also offering signed copies of the book through my on-line store. I include a free Dozi the Alligator sticker, postcard, bookmark and free shipping with each copy bought through my store. Thank you, Dan, for the wonderful insight into your creative process! I can’t wait to see the next book in your series. Now I’m off to search my son’s bedroom for signs of hidden wildlife. All images are provided courtesy of Daniel Boris.